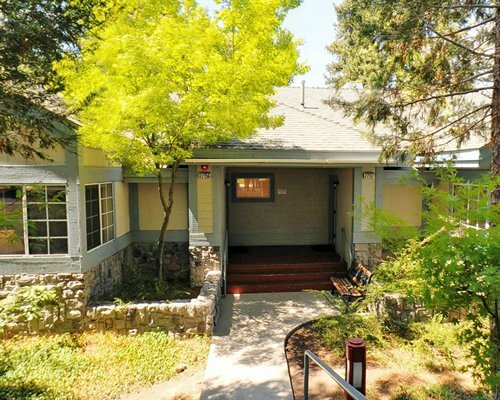 NorthBay at Lake Arrowhead is a peaceful retreat in the San Bernardino Mountains, located in a private gated community with secluded wilderness trails that wind amid towering pines, oaks, and cedar trees. 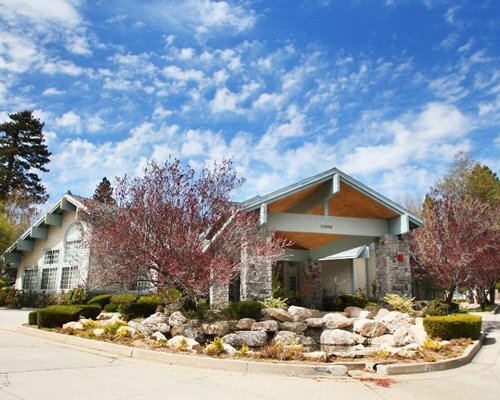 NorthBay is a getaway from it all, purpose-built resort featuring a 10,000-square-foot clubhouse with a spa, indoor swimming pool, fitness center, lounge, and game room. Outdoor pursuits include two on-site tennis courts and hiking and walking trails, trout fishing, water-skiing, and cycling. Winter activities include festivals and skiing at local ski resorts. The closest airport is the Ontario International Airport, which is 48 miles from the resort. Take Freeway 215 north to San Bernardino. When freeway splits follow the 30 east toward Mountain Resorts. Stay on 30 east to 330 Running Springs. Follow signs saying Lake Arrowhead, go south on HWY 18. Once you pass Rim of the World High School, merge at the second street onto Daley Canyon and make a right. At the stop sign go straight and follow the road into Blue Jay Village. At the next stop sign turn left onto NorthBay Road. Stay on road for about 2 miles. On the left is the entrance to the resort. There will be a sign that says "Arrowhead Lake Estates and North Bay" marking the entrance. Enter #050 on keypad to open the gate.